The process of dehydrating fruits and veggies couldn’t be simpler with the Excalibur 3926T. It’s an awesome dehydrator that makes quick work of even those extra-large batches of fruit. It can dehydrate 12 lbs of food at a time if you utilize all 9 drying racks and it has a timer you can set and walk away. Again, it’s awesome. However, there are other methods of dehydrating fruit, herbs, and veggies to preserve and store for later. So, if you don’t own a dehydrator but want to try it ~ you CAN. The oven will work when set at a really low temperature (although, lots of newer model ovens don’t go low enough ~ you’ll have to monitor the temperature and maybe even open the door occasionally) or you could use the sun drying method (we’ve not done it ourselves but it’s an option). Okay, you get the point…you don’t have to use a machine to do all the work but it does make it easier. 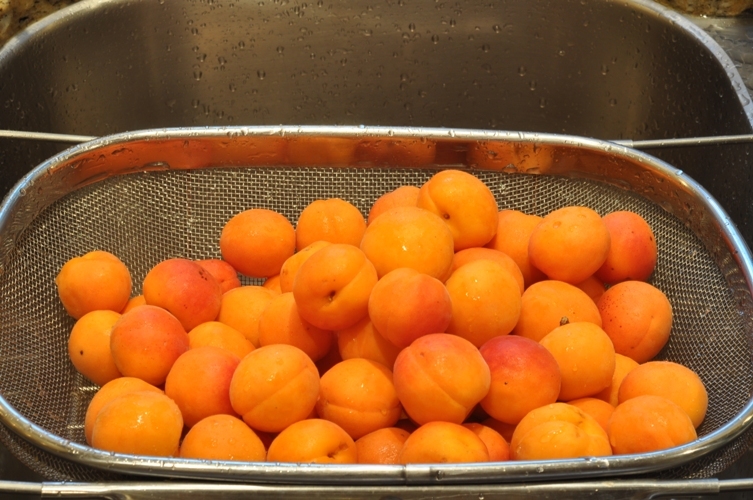 Combine lemon juice and water in a non metalic bowl to pretreat apricots. 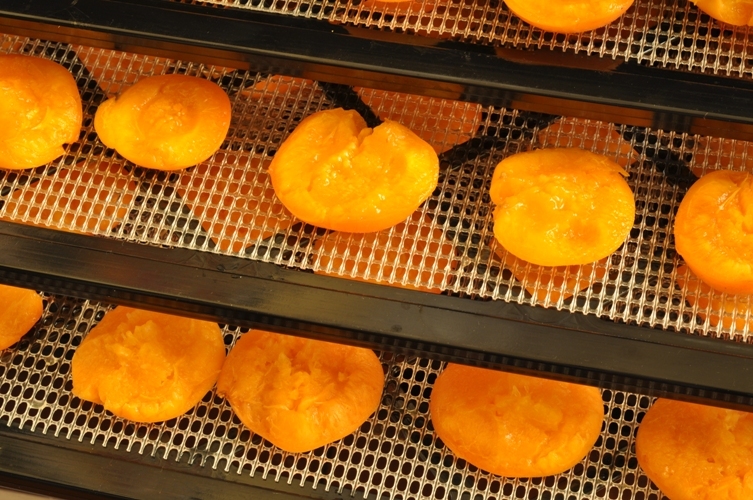 Wash apricots well, cut in half, remove pit, and place in pretreatment solution. 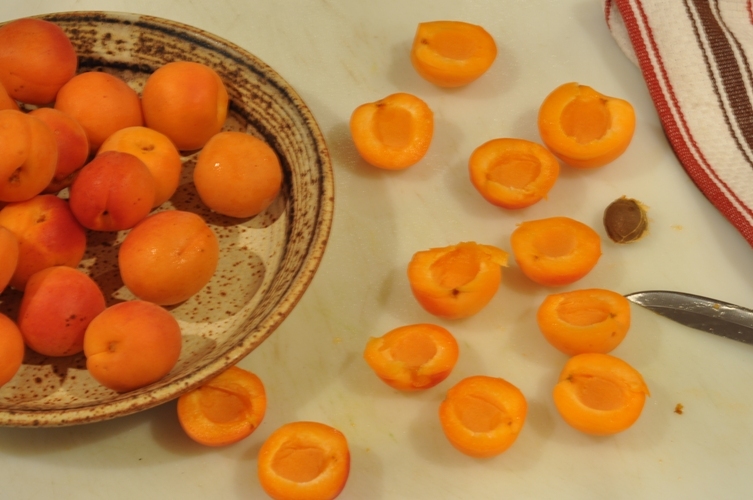 Remove from bowl, push in backs of each apricot, and place on drying racks with the skin side down. Set temperature to 135F for 20 hours. After 20 hours check to see if apricots are dry. They should be pliable. Does that sound easy or what!?! It is but I still managed to screw it up. Yeah, I set the timer for 26 hours and walked away. 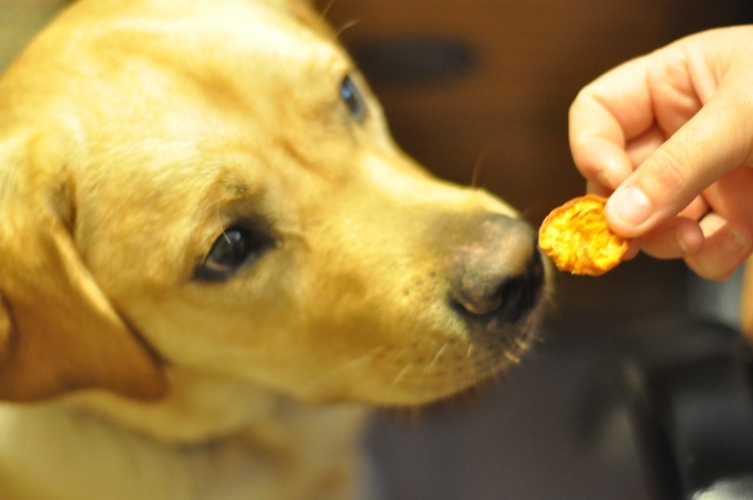 The next day I had apricot chips. They’re okay and will be excellent put through the blender and sprinkled in some homemade granola but they were not the consistency I was expecting…another lesson learned. Remember to set your dehydrator for the lowest suggested time and then check back. You can always add more time! 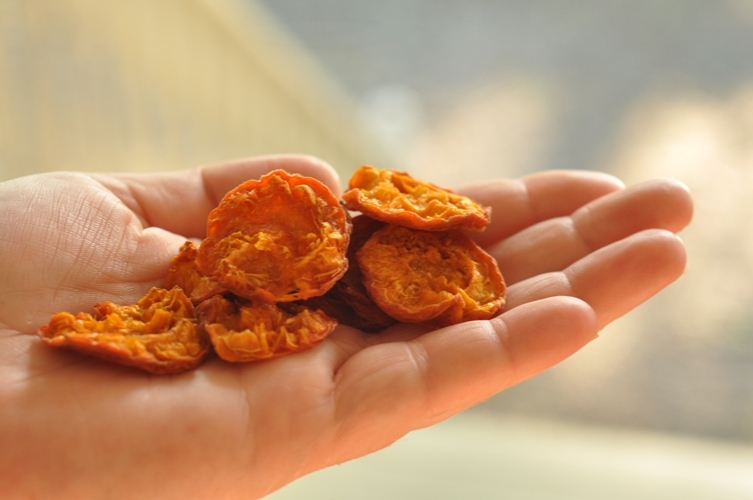 These apricot chips also make healthy “Gussy Snacks”! ← One Woman’s Garbage is Another Woman’s Vinegar? I always go back and forth about how much to dry something and end up taking it too far. oh, I think this is the one my parents are using. It makes all the difference.